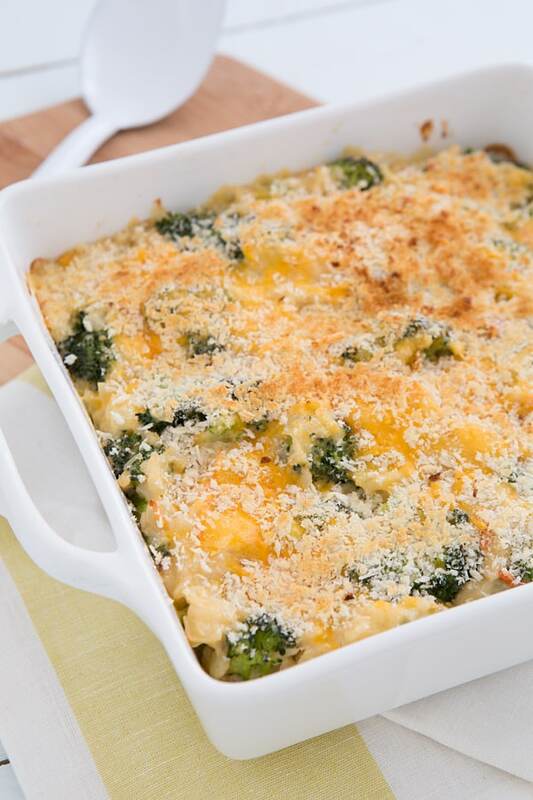 Broccoli Cheddar Brown Rice Casserole Recipe from Oh My Veggies! I am serving up comfort food realness today with a broccoli cheddar brown rice casserole. Comfort food because: hello, cheesy casserole! And realness because there are no cans of soup or blocks of faux cheese involved. It takes a little more time to make your own cheese sauce, but trust me, it’s completely worth it. This Broccoli Cheddar Brown Rice Casserole was not inspired by a casserole at all, but by Rice-A-Roni. Or maybe Uncle Ben’s. I don’t know! But growing up, my mom would always make broccoli cheese rice from a box. That was one of my favorite side dishes, even if the cheese was powdered and the broccoli was microscopic. I didn’t care! I was making a cheese sauce for mac & cheese several weeks ago and started thinking about that rice and wondering if I could make my own version of that rice using a homemade cheese sauce. Although I took the extra step of baking it, you could also just serve it right out of the pot—that works too! I hadn’t really intended this to be a Thanksgiving post because I think most people have their menus planned by now, but if you’re looking for an extra side dish, this one is definitely a crowd-pleaser. (And if you have French-fried onions left over from your green bean casserole you can use those on top instead of panko!) 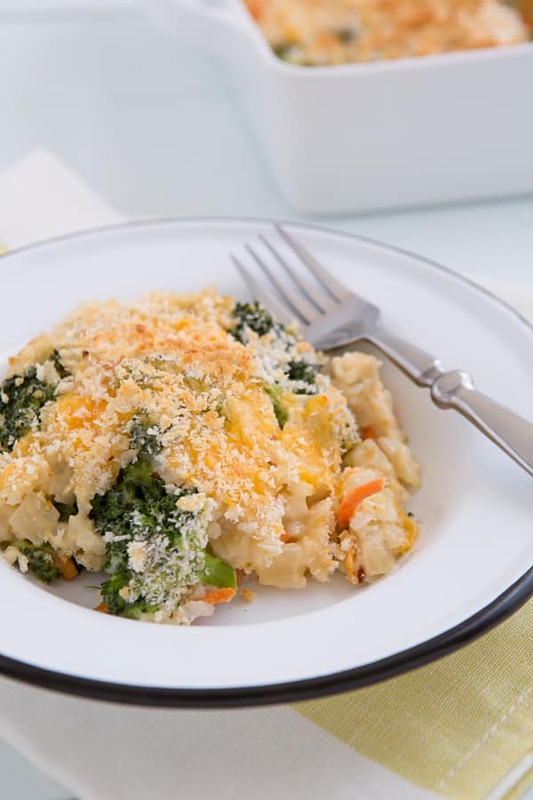 Because cheese sauce has a tendency to be temperamental, particularly when it’s made with cheddar, I wouldn’t risk making the whole casserole in advance—just cook the rice and broccoli, then make the cheese sauce and assemble the casserole on Thanksgiving day. A comfort food classic made without faux cheese or canned soup! Cheese sauce can be temperamental, so while I usually encourage substitutions and experimentation with recipes, it’s best to follow this one to the letter so your sauce doesn’t separate. Whole milk makes a more stable sauce, but I have successfully made cheese sauces with reduced-fat milk too. If at all possible, use cheese that you’ve shredded yourself—bagged shredded cheese contains anti-caking agents that can affect the texture of cheese sauces. Family loved it! We are not strictly vegetarian so modified the recipe a bit by caramelizing the onions, added a dash of cayenne, roasted the broccoli, and added shredded chicken to make it a “one-dish wonder” for dinner. Definitely adding to the recipe rotation. Thanks! Does it work with white rice and minus out the mustard and paprika?